Hardcover, 64 pages, 21.5 x 28.0 cm, 8.5 x 11.0 in. 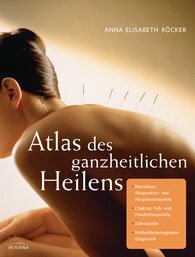 This atlas provides a comprehensive overview of the three major philosophical-medical systems: traditional Chinese medicine, Indian philosophy, and European healing arts. Detailed charts, graphics, and tables in large format provide a unique overview of holistic healing methods of the various cultures. Included are meridians, acupuncture and acupressure, hand and foot reflexology, chakras, and spinal-segment diagnostics. The clear displays are complemented with practical exercises. This completely revised and expanded edition of this classic is appropriate for both medical specialists and the general public.